Ok...I am having too much fun crafting Halloween decorations! I had this empty Trader Joes Moscato bottle sitting around for a few months now, knowing it would be useful for something. I watered down my craft tac glue and poured it the bottle and the I added green and black glitter. I cut a hole in the bottom of one of the skeleton heads with a exacto knife. I glued my cork into the hole and added a bat headband. It seems most skeletons are non gender so I changed it up a little and made it a girl skeleton. I found this poison label at The Graphics Fairy. 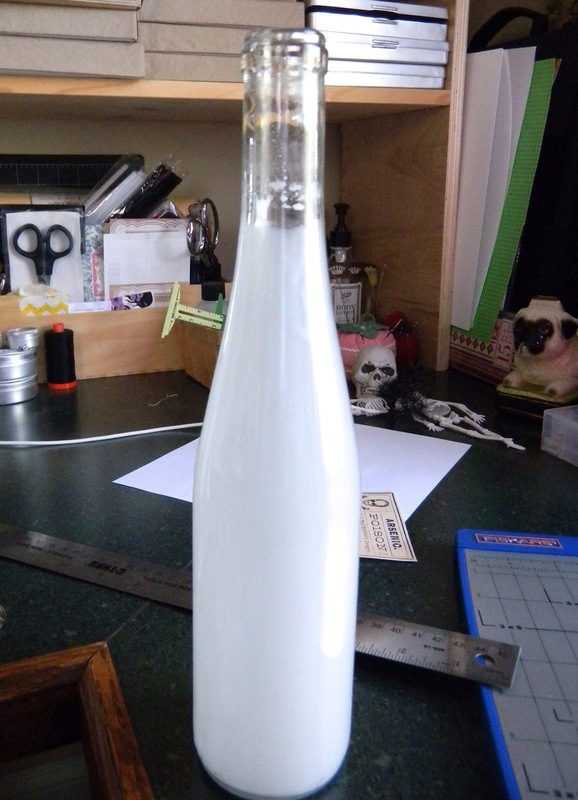 After I printed it I use some fine sand paper and roughed it up a little for a worn look and then I glued it to my bottle and coated with Mod Podge. I glued some felt bats onto the bottle. 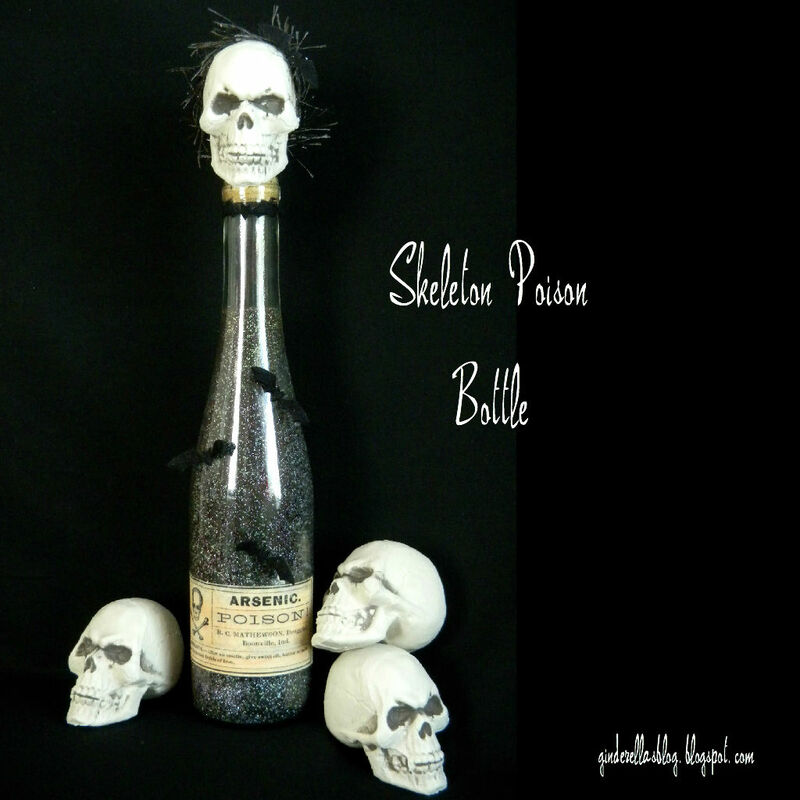 I was thinking it would be fun to do with a full bottle of wine too instead of putting glitter inside. One for looks and one for use! Love the glitter and the skeleton head is awesome! I'm here from the Project Queen's linky party. Love this! I am in Halloween decor mode and I'm going to put this on the mantle. Thanks for sharing! Ha! This is so spooky! I love it:) Thanks for linking up To Whimsy Wednesday! I hate to throw away pretty bottles, I'm always trying to think up something to do with them. This is spooky cool! Love it! Thanks for linking up at Printabelle. Oh that is really great! Love that wispy headband you used! Somehow, the fact that it's a girl skeleton, makes it a little creepier! I love it. I'm happily following you via GFC and looking forward to more. You are full of great halloween ideas! Thanks so much for linking up last week and would love to see you back! This is a really cool project! I love this decoration. Thanks so much for sharing on Marvelous Mondays! Hi Paula, I'm Connie at http://hotflashncraftn.blogspot.com/, a new GFC friend. I would love to have you stop by and be mine, too. Great decoration. Thanks for sharing. 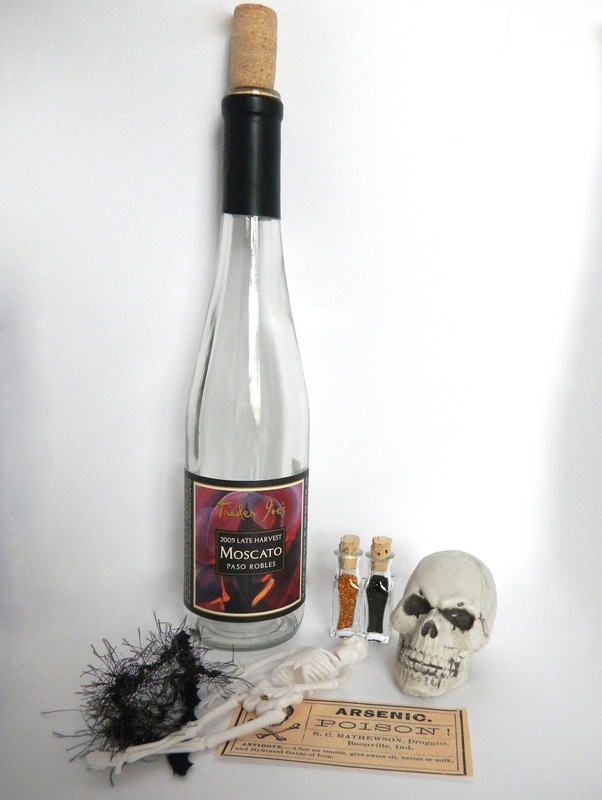 Hi Paula, thanks so much for sharing your Skeleton Poison Bottle at Project Queen's Link Party last week. I love it! I'll be featuring it tomorrow night(Monday) at the Highlight Party. I'm loving the glitter! That turned out really great. You were smart to not throw out that bottle, look at it now! Thanks for linking up to Throwback Thursday! 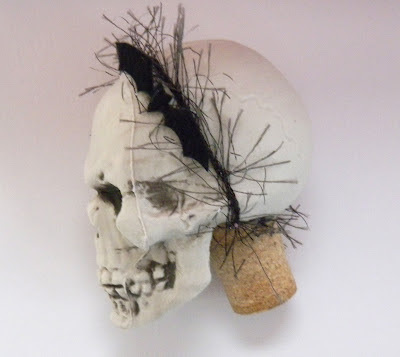 cool Halloween craft! Thanks for linking up at my Submarine Sunday link party!